Five finger motivation is a method Phakchok Rinpoche learned from his own meditation teacher, Nyoshül Khenpo Rinpoche. These instructions are therefore very precious. Such personal advice can really make a difference in how we progress. As Mahāyāna Buddhist practitioners, we repeatedly need to check our motivation. All the great masters teach that we should begin each practice session by taking a few moments to check our minds. Why are we sitting down to practice meditation? In this audio clip, Rinpoche shares a memorable description of the various types of motivation. He uses the five fingers of a human hand to measure different types of motivation. We can rely on physical and visual aids to begin our practice correctly. Here, we can understand a progression from the pinkie finger toward the thumb. In Tibetan tradition, people point the pinkie finger to disparage or indicate something is low. On the other side, they show a thumb to mean excellence. We should not be worried about being protected from problems. Chanting a mantra to make our headache go away doesn’t bring us freedom, does it? It really stems from fear. Similarly, we should not only be looking for rewards in this lifetime. Hoping that our practice will make us beautiful, or slim, or attract a new partner–these motivations are very low and selfish. Additionally, we should check to make sure our practice has a purpose. We sometimes might just do something because other people are doing it–and we just go along with the flow. That is what we call undetermined or neutral motivation. And we’re not really feeling selfish. But, often, we just don’t care. We are rather dull and not very inspired. What if our friends change their minds, or we decide to go get ice cream instead? If we practice with this kind of motivation we are unlikely to make much progress. Our ring finger represents this so-so attitude. Our middle finger represents our fear of the lower realms and of suffering. Here, we practice because we do not wish to be reborn in a lower state. When we have index finger motivation, we can wish to practice meditation because we want to be liberated. So, then we renounce the endless cyclic of suffering and understand that freedom is possible. This is already a very big step–and it is good motivation. Yet, it remains self-focused. Because, we care about our own suffering and wish to bring that to an end. This doesn’t mean that we don’t have loving-kindness toward others. But, we practice to achieve our own liberation. The thumb represents bodhicitta. Any bird needs two wings in order to fly. Similarly, bodhichitta needs two qualities to be complete. First, we need compassion; we want to benefit all sentient beings. And what does all mean? Sentient beings abide wherever space pervades. We wish that all these beings be freed from suffering and the cause of suffering. Furthermore, we wish that they all attain enlightenment. And, I need wisdom to be able to awaken–and to serve all these beings. That’s the most excellent motivation for practice. We need to recall this teaching and make sure that our motivation always is “thumbs up”. In the beginning, we may feel like we are faking it. That’s okay. We still will benefit ourselves and others by taking the time to “re-set” or check our motivation. Phakchok Rinpoche often emphasizes the utmost importance of motivation to our practice. Here you can find links to more teachings on motivation. Every single session (regardless of your years of practice) take a moment to set your motivation. And if it needs correction, take the time to do that before you begin. 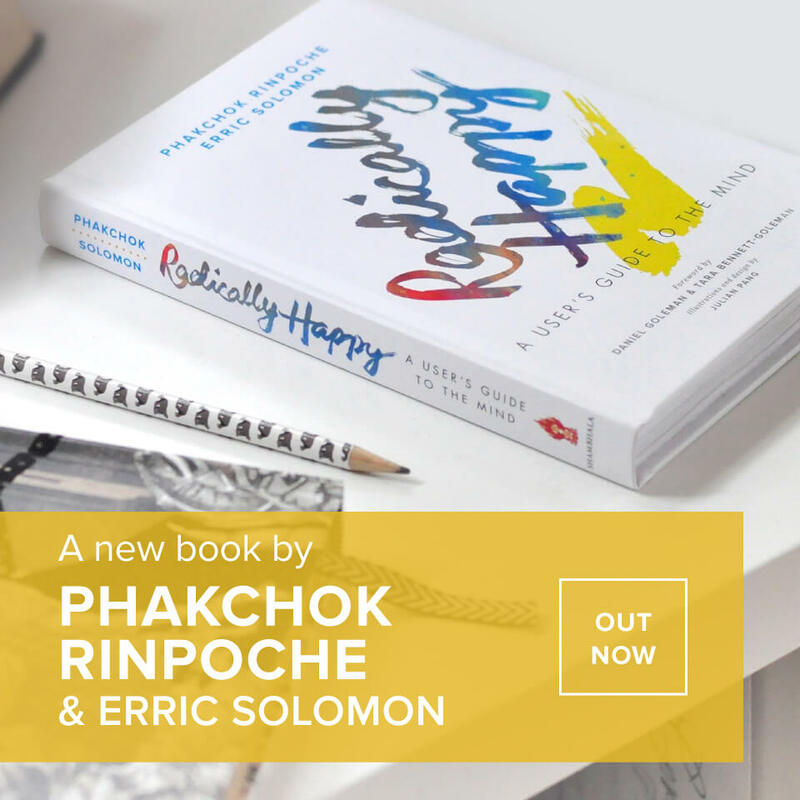 You do have the time to recall bodhicitta–and it ensures that your practice bears great fruit! 0 responses on "Five Finger Motivation"